Our quantum computing team studies nanoscale semiconductor devices for qubit applications. 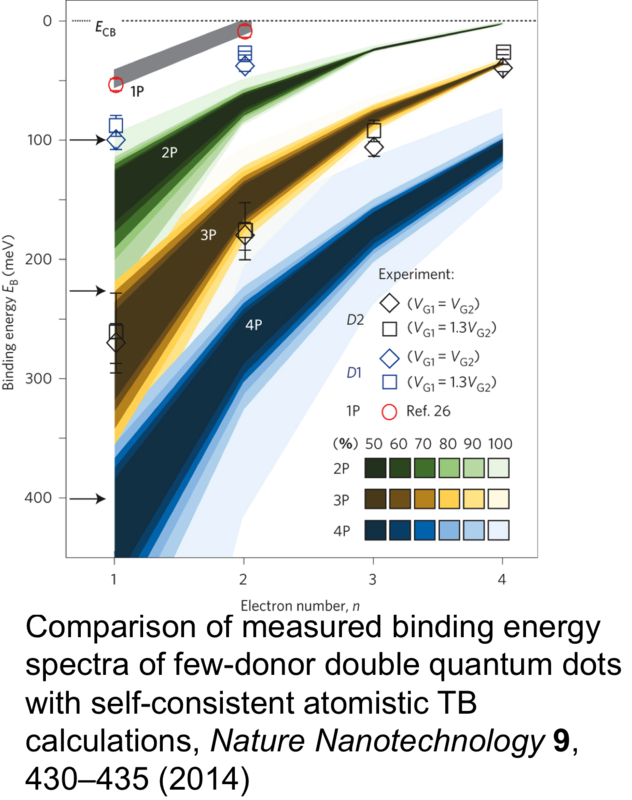 Semiconductor quantum dots and donor systems are promising candidates for implementing qubits. 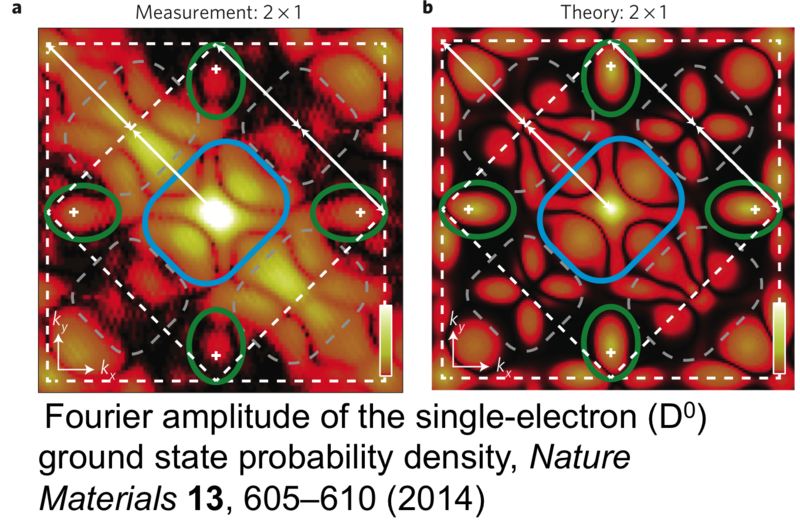 We use atomistic tightbinding to analyze and understand these systems. 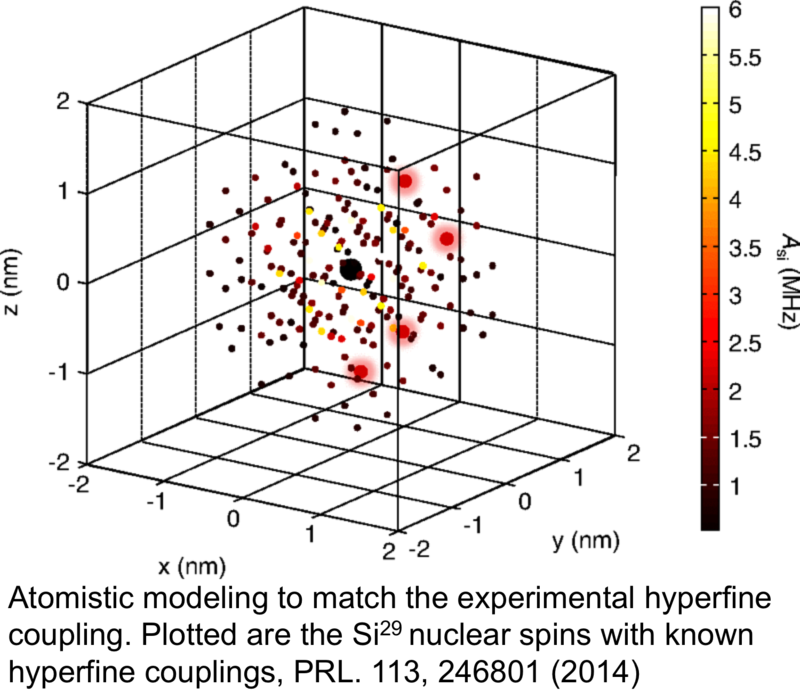 We study and predict the electronic structure and coherence of quantum dot and donor based qubits. We investigate multiple qubit interaction with the help of Full Configuration Interaction. 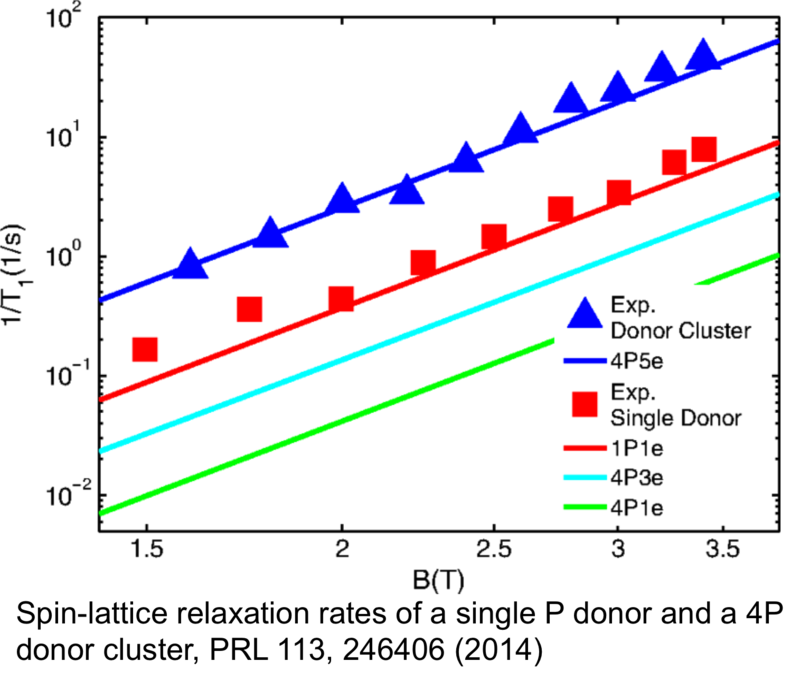 Yuling Hsueh, Holger Buch, Yaohua Tan, Yu Wang, Lloyd Hollenberg, Gerhard Klimeck, Michelle Simmons, Rajib Rahman, "Spin-lattice relaxation times of single donors and donor clusters in silicon" accepted in Physical Review Letters (October, 2014).